The sounds of the Farmer’s Market change with the seasons. The “mmm’s” in June when the strawberries arrive; the “ooh’s and ahh’s” in July when the tomatoes make their entrance; finally, the sad, sighing “uh’s” in the fall as the weather chills and the markets draw to a close. This year, thanks to the unabated demand for local produce and the persistence of some devoted market managers, we can enjoy a new season of sounds at our local Farmer's Markets. Thanks to MX Energy, the market’s sponsor, patrons will enter a warm oasis, where a large Tuscan-style wood table, covered with burlap linens will serve as the center piece of the market’s “cafe.” Twenty to thirty chairs will await marketers who want to enjoy a warm drink, lunch or simply the company of their neighbors. Skinny Pines and BoxCar Cantina will be at the market weekly and will be joined by a rotating crew of chefs from The Dressing Room, Fat Cat Pies, LeFarm and The Schoolhouse to round out the weekly offerings of lunch items and prepared foods. Over 90 vendors applied for one of the coveted 20 spots available. Thanks to a cooperative vendor program, additional vendors will share booth space on alternative weeks, adding variety to the offerings. A guest vendor spot will be available to small -batch producers, who can’t generate the volume to be at the market every week, but can periodically wow us with their artisinal-quality foods or baked goods. All the farmers participating practice organic farming and have greenhouses, so you can expect greens, as well as root vegetables from Fort Hill, Riverbank and Two Guys Farms, just to name a few. Meat offerings will include beef, lamb, pork and chicken. Dairy farmers will offer milk, eggs, cow and goat cheeses. There will be gluten-free options among the baked goods and raw food options among the prepared foods. Aroyga Tea and Raus Coffee will be on the scene weekly, as will Calcutta Kitchen and Izzi B’s cupcakes. Altogether, there will be more than 25 vendors each week bringing you locally grown, organic and healthy fare. Two additional, value-added options await Westport Winter Market patrons. Sal Gilbertie, who has written two books: “Small-Plot, High Yield Gardening” and “Herb Gardening at Its Best” will be on hand to conduct a lecture, short class or tour each week at 11:00. And, if you prefer to run to your car while blowing warm air into your cupped hands, valet service will be available to bring your grocery bags to your car. The Winter Market at The Norfield Grange opened this Saturday, Dec. 4th - if you missed it, you missed Farmer Ed Gazy’s birthday, so be sure to wish him belated greetings next week. 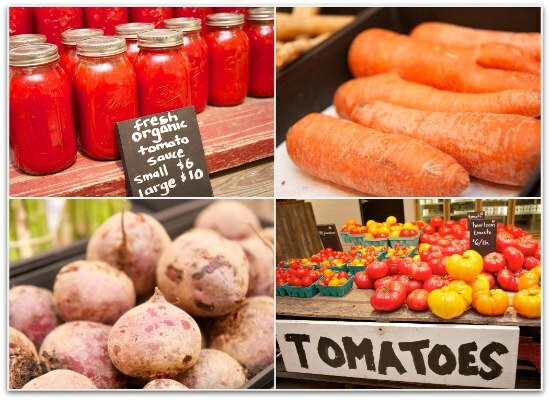 The market will be in the heated Grange through April 16th with approximately 10 vendors offering a variety of produce, baked and prepared foods. Thanks to the greenhouses at Gazy Brothers Farm and Daffodil Hill Growers, these family farmers will be supplying the market with winter greens and seasonal vegetables. Daffodil Hill will also offer jams, jellies, maple syrup, Christmas wreaths and floral arrangements. Eagle Wood Farms will have their home-raised beef and pork and Pemaquid Seafood will be bringing down shrimp and other shellfish from Maine. Bistro du Soliel will have soups, sauces and other prepared foods - made from local, farm raised products and Belodotti’s Bakery will drive in from Stamford with their wonderful breads, pesto and mozzarella. Mirabella Cheese Shop will round out the cheese offerings with some New England specialties, while Whistle Stop Bakery will be on hand with their savory potpies and pastries. Izzi B’s Cupcakes and Goat Boy Soaps will have booths as well. On Sundays, from 10 - 2, The Georgetown Market will host 15 vendors and farmers at the Gilbert Bennett School in Wilton. Thanks to Nancy Moore of Moorefield’s Herb Farm and Gail Brookover, the Market Manager, the Georgetown Market will be housed in this architecturally beautiful, historic site that originally served as a school for the children of the town’s wire mill employees. In this unique setting, patrons can look forward to grass-fed beef from Eagle Wood Farms, apples from Lakeview Orchards, hydroponic microgreens from Ed Dillon’s Keeds Farm and winter vegetables from Sal Jeremiah. Blackbird Bakery, Wavehill Bread, Mirabella Cheese, Goatboy Soaps and Moorefield Herbs will round out your market basket. And, to bring a little spring to your winter table, Daffodil Hill Growers will have forced bulbs for sale. If you find yourself in need of or craving fresh produce and missed one of the weekly Farmer’s Markets, you have another option. For the past 14 years, Lloyd Allen’s Double LL Market has been a 3 season outpost on the Westport - Southport border. Six months ago, the LL migrated west on the Post Rd. 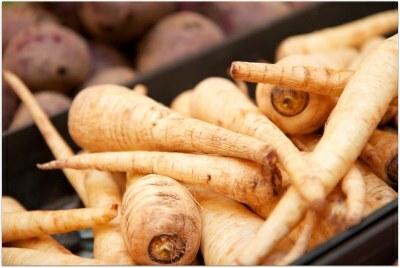 to a permanent storefront, bringing us another 4 season supplier of fresh, locally grown produce. In addition to fresh vegetables and grass-fed beef, Double LL is stocking fresh fish including bay and sea scallops, sardines, salmon and cod straight off the docks in Boston. Fish arrives twice a week and the best way to ensure your order for meat, fish or baked goods is to place it by phone. 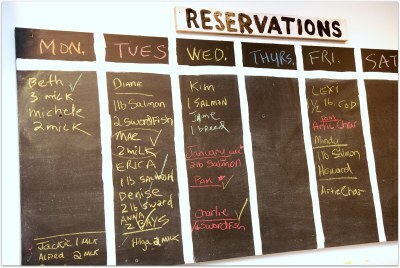 A chalk board behind the counter keeps a public record of who is getting what and on which day of the week.